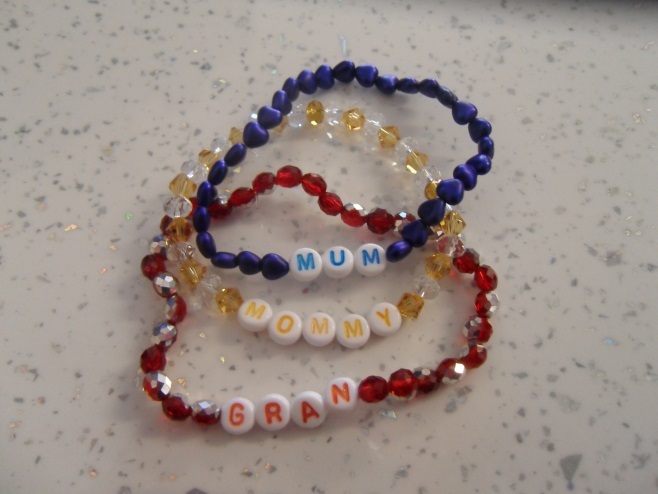 Oakengates-based jewellery maker shop, Lesley’s Jewellery Box, is hosting two weekend drop-in workshops to give children the opportunity to make their own bracelet for Mothers Day. The workshops are on Saturday 22nd March from 10am until 2pm and Saturday 29th March from 10am until 12pm at Lesley’s Jewellery Box in New Street, Oakengates. Bracelets cost just £3 and the children will get all the help they need to make sure they take a beautiful present home for Mum.